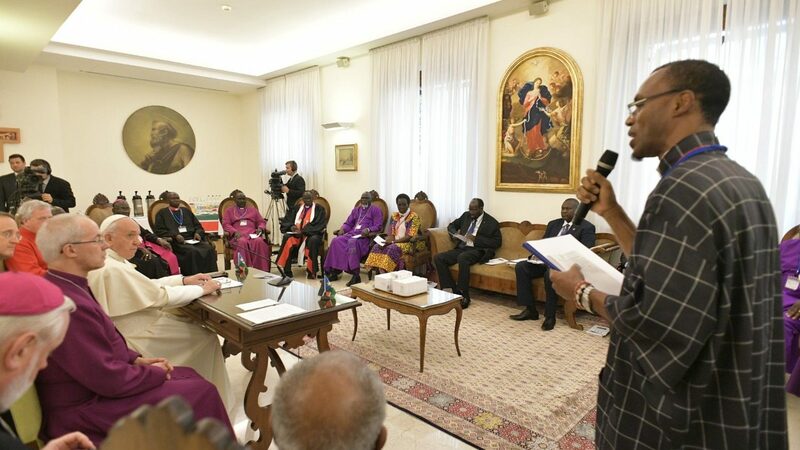 “To the three of you who signed the Peace Agreement, I ask you, as a brother, remain in peace”, the Pope said. “I ask you from the heart. Let us move forward. There will be many problems, but don’t be afraid, go forward, resolve the problems”. 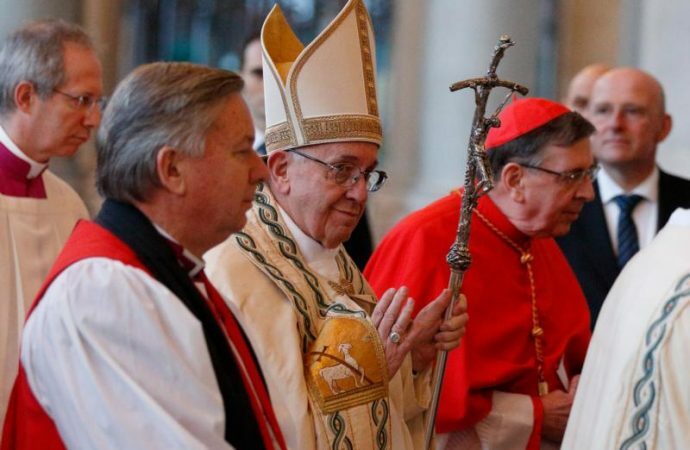 In impromptu remarks following his address, Pope Francis said, “You have started a process; may it end well. Although struggles will arise, he said, these should stay “within the office”. However in public, he said, “before the people: [keep your] hands united”. 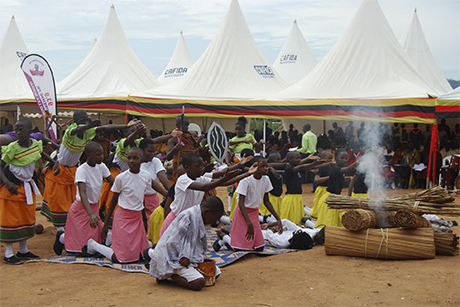 In this way, the Pope said, “from simple citizens, you will become Fathers of the Nation”. 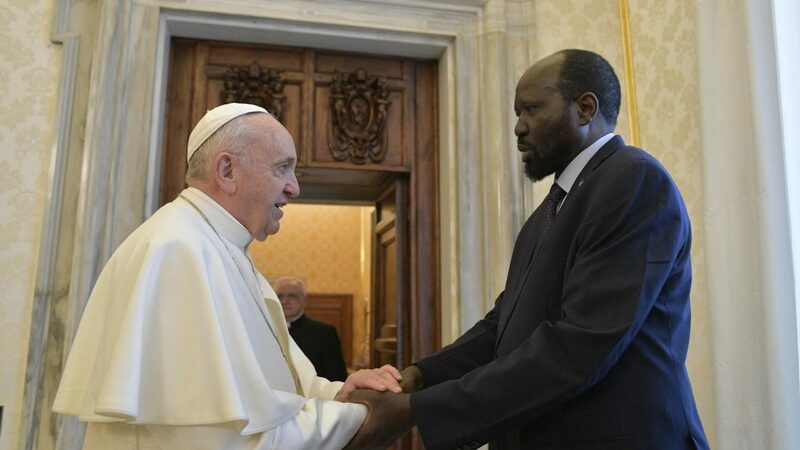 A time of grace dedicated to reflection and prayer, to ask God “for a future of peace and prosperity for the people of South Sudan”. 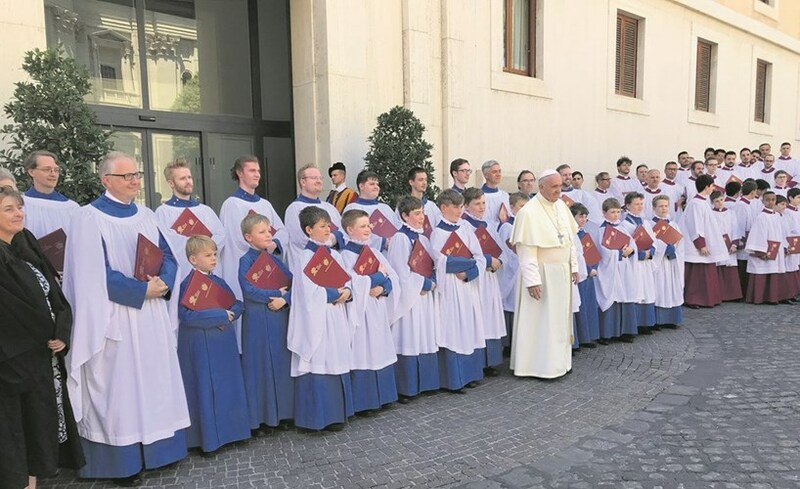 In the words of the Vatican Secretary of State, Cardinal Pietro Parolin, this is the meaning of the spiritual retreat currently underway in the Vatican, at the Casa Santa Marta. 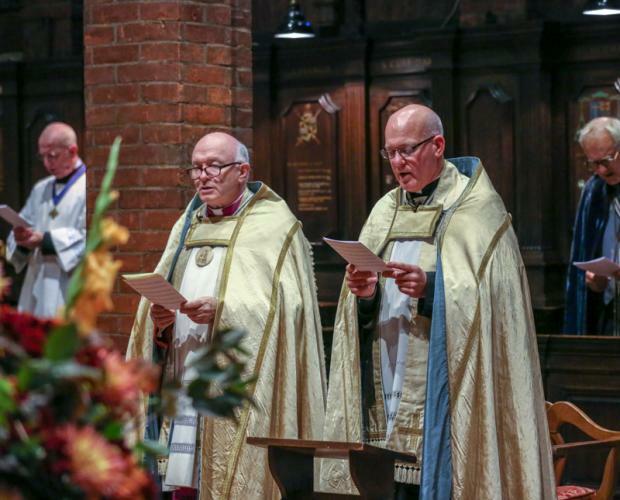 The Catholic bishops of England and Wales and Church of England bishops met in Leicester from 16 to 17 January for their biennial conference. 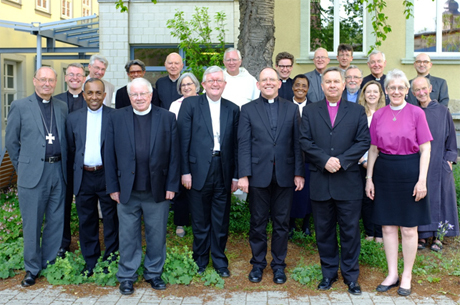 Together 27 Catholic and 27 Anglican bishops explored a diverse range of subjects including opportunities for closer collaboration at a regional and national level. 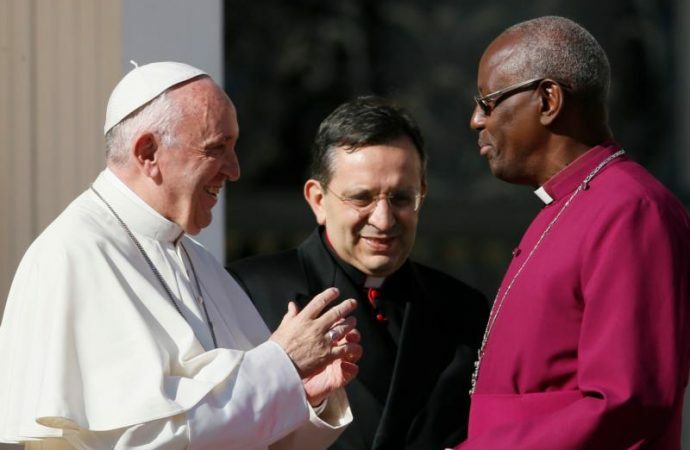 Cardinal Vincent Nichols and Archbishops Justin Welby and John Sentamu were present throughout. Cardinal Nichols and Archbishop Welby addressed the gathering. 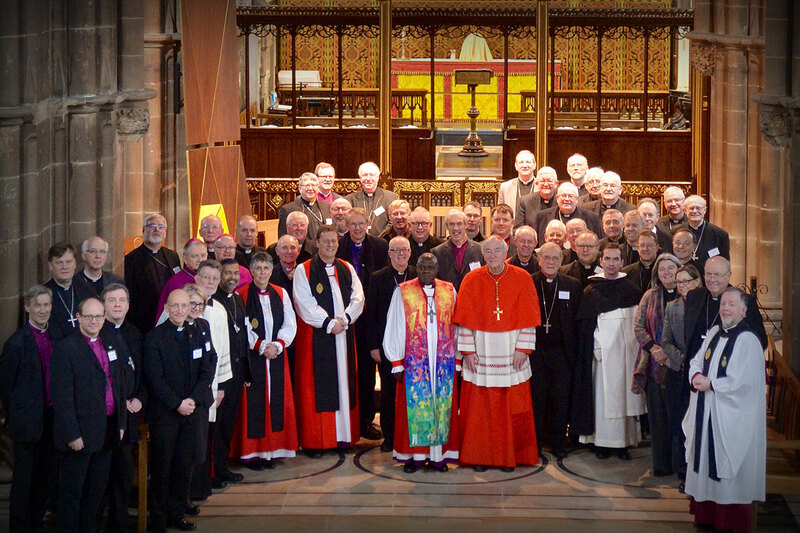 Fifty bishops – 25 Anglicans and 25 Catholics – will convene in the British city next January 16-17. 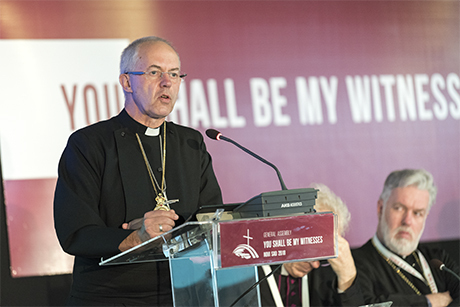 Rev Worthen told SIR: “Spirituality, theology and coexistence will be the ingredients of the meeting” that with a tight agenda: liturgy and debates with the spotlight on the Declaration “Walking Together On The Way.” Next January 16 and 17 fifty bishops, half of them Catholic and half of them Anglican, will convene in Leicester, central England, a city with an important tradition of interreligious dialogue, for a two-day ecumenical meeting.